In addition to an efficient production of ice, proper storing and transportation equipment are equally important parts of an entire plant setup. 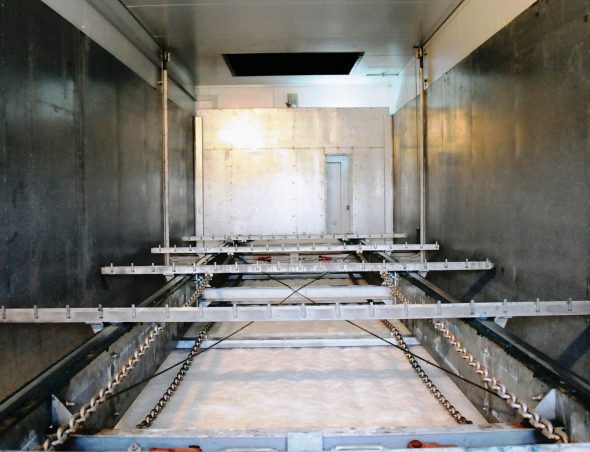 KTI offers specially designed Mobile Ice Storages to keep the fresh and transportable over a certain period. KTI Ice Storages are available in different versions and with holding capacities between 23 and 120 tons. 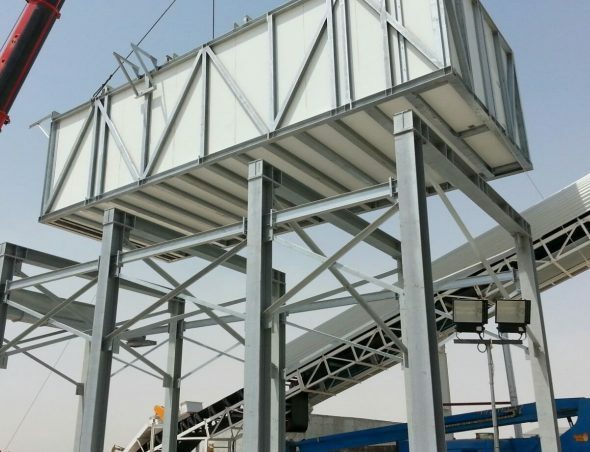 However, special sizes of 12 tons or 250 tons holding capacities have been built and are available upon request. Of course, all KTI Mobile Ice Storages are are equipped with a patented room cooling system to keep the inside temperature below 0°C. A specially developed double-wall insulation allows an optimal cold air circulation, even when the ice storage is completely filled. This ensures to keep the conditions required by flake ice and plate ice. A fully automated ice rake system with heavy-duty rakes, levels the ice during filling the ice storage and discharges the ice for transportation. A leveling screw facilitates the ice discharge in semi-automatic ice storages. KTI Mobile Ice Storages (MIS) are the perfect combination with an Flake Ice Plant (FLIP) or Plate Ice Plant (PLIP). 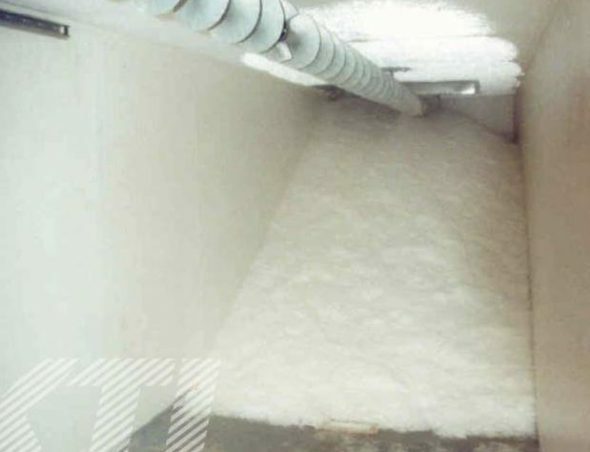 With this, certain amounts of ice can be stored over a period and discharged on demand and for covering demand peaks. The semi-automatic Mobile Ice Storages (MIS-sa) are entirely prefabricated inside a 40-ft. container including leveling screw and room cooling unit. MIS-sa can be easily transported on trucks and thus are very flexible in use. All KTI Bolted Ice Storages (MIS-b) are designed according to the principles of KTI’s Mobile Ice Storages (MIS), with final assembly on-site. A big advantage is, that the Bolted Ice Storages can be shipped anywhere in the world in containers and assembled at remote locations.